You must remember our original piece named "The dance of the Hummingbirds"... Well, this is a new version that includes the same lovely hummingbirds and the colorful flowers but with the addition of the house number!!! 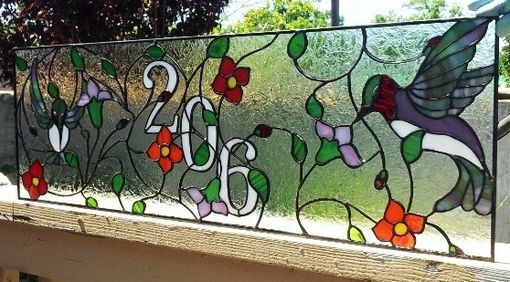 Size is 10" X 30" but can be modified to any size needed. 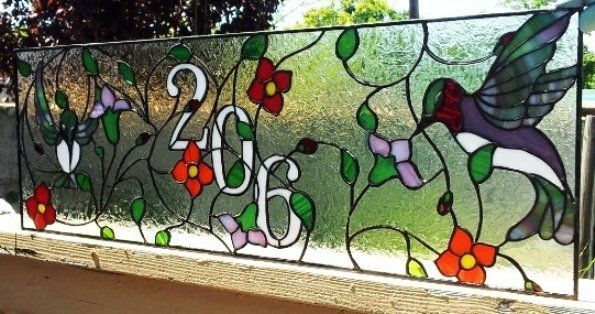 Glass: House number is solid white opal, flowers are red, orange and purple opals, birds are multi color opals and background is clear double rolled gluechip.